Accommodation is now subject to availability. To secure your accommodation, please email [email protected] and nominate your preferred hotel, arrival/departure dates and credit card details. The credit card details will be passed on to the hotel to secure your booking. Your accommodation and incidental costs must be settled direct with the hotel on departure. Please note hotels may charge a surcharge on credit card payments made on departure. Should you require dates outside of the main Conference dates, please note this in your email request, and we will contact the hotel on your behalf and advise you of availability. 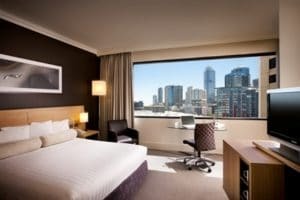 Favourable accommodation rates have been negotiated by the Conference Office for the SMSF Association National Conference 2019 delegates at a number of hotels within walking distance of the Melbourne Convention & Exhibition Centre, the Conference venue. Please note the check in time is generally 1500 hours. 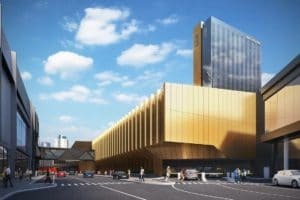 If you require immediate access to your room prior to this time, it may be wise to pre-register for the evening before. If you are arriving after 1800 hours please note this accordingly. The hotels impose strict release dates of 30 days prior to arrival and therefore any bookings made after 1730 CST on Friday 18 January 2019 will be subject to availability. Please note cancelled bookings or failure to arrive at the hotel on the designated date of arrival (no show) will incur penalties. See details below before making your selection. To obtain these special rates, your booking must be made through the Conference Office. Any changes to your booking or new bookings must be made in writing via email to the Conference Office, not directly with the hotel. All room rates noted are based on room only and are in Australian Dollars and include 10% GST. Terms and conditions: Full breakfast rate on consumption: $35 per person per day. All credit card payments incur a 1.3% surcharge. Cancellation policy: Cancellations received within 30 days prior to arrival date will incur a cancellation penalty of one night’s rate. Strategically located on the South Wharf along the scenic Yarra River, Pan Pacific Melbourne enjoys direct access to Melbourne Convention & Exhibition Centre and close proximity to major attractions within walking distance such as Flinders Lane and SEA LIFE Melbourne Aquarium, making it ideal for holiday makers and business travellers alike. Terms and conditions: To guarantee the booking, a deposit of one night’s rate will be deducted from the guest’s credit card at the time of booking (this is refundable up to 45 days prior to arrival, after which it is non-refundable). 1.5% credit card surcharge applies for credit card payments. Cancellation policy: Cancellations received within 30 days of arrival will be charged a cancellation fee equal to one night’s accommodation rate. Cancellations received within 14 days of arrival will be charged a cancellation fee equal to the entire length of stay. Non arrival at the hotel (no shows) will be charged a cancellation fee equal to the entire length of stay. Crowne Plaza Melbourne is in the heart of the city’s vibrant Docklands. The property his surrounded by restaurants on the Yarra’s north bank and the Crown Casino and Melbourne Convention and Exhibition Centre are just over the bridge. The hotel is a 5-minute walk from Southern Cross rail station. Terms and conditions: Credit card payments incur surcharges of: 3% for AMEX, Diners & JCB and 1.5% for all other card types. Cancellation policy: Cancellations received within 30 days prior to arrival date, and no shows will be charged 100% of the entire booking. 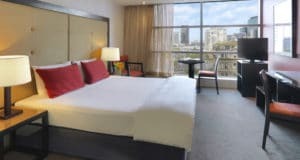 Adina Apartment Hotel Northbank is ideally located in the CBD, opposite the Melbourne Aquarium, with easy access to the Melbourne Convention & Exhibition Centre. Terms and conditions: All credit card payments incur a surcharge of 1.2%. Cancellation policy: Cancellations received within 30 days of arrival and no-shows will incur a one night cancellation fee. 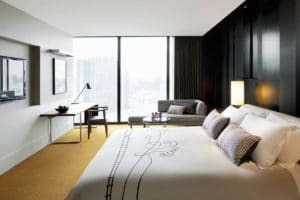 Crown Promenade Hotel is located in the heart of the action – Melbourne’s vibrant Southbank entertainment precinct as well as being close to the CBD, the Melbourne Convention & Exhibition Centre. The hotel has 465 spacious guest rooms with fantastic views overlooking Port Phillip Bay or the Melbourne CBD and Yarra River and every room features quality furnishings and original art by local artists. 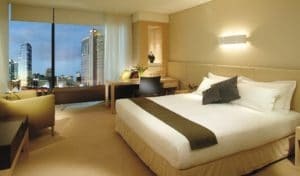 Crown Metropol is conveniently located adjacent to the Crown Entertainment Complex, Crown Towers Hotel and Crown Promenade Hotel. Melbourne’s vibrant Southbank precinct, Docklands, the Melbourne Convention & Exhibition Centre and Docklands are just a short walk away.